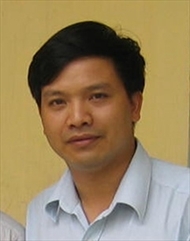 Christian human rights lawyer Nguyen Van Dai was jailed for 15 years today, 5 April, for activities “aimed at overthrowing the people’s administration”, as Reuters reported. His wife, Vu Minh Khanh, said she was “very disappointed” but that Dai will “continue to fight and will appeal the verdict”. Five other activists were given prison sentences of between 7-12 years by the court in Hanoi, the capital. Van Dai, 48, was on trial with his female colleague Le Thu Ha for charges relating to their arrest in December 2015, when they were accused of propaganda against the state. They appeared in court earlier today with Pastor Nguyen Trung Ton; Nguyen Bac Truyen, head of an association of former religious and political prisoners; activist Phạm Van Troi; and journalist and labour rights activist Truong Minh Duc. 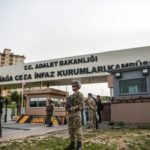 The four men were arrested in July 2017 on charges of initiating “activities aimed at overthrowing the people’s government”. The five men and one woman are all members of the Brotherhood for Democracy, an organisation founded by Van Dai to promote human rights through online actions, according to the Paris-based Vietnam Committee on Human Rights (VCHR). Vietnam has handed out several harsh sentences to rights activists in recent times. The 14-year jail sentence given to 35-year-old Catholic Hoang Duc Binh in February drew condemnation from the US State Department, which said it was “deeply troubled” by the conviction. And last year the Catholic blogger Mary Magdalene Nguyen Ngoc Nhu Quynh, also known as “Mother Mushroom”, was sentenced to 10 years in prison for posting what police described as anti-state reports. Meanwhile, a former prime minister of South Vietnam has been baptised in the United States. The ceremony ended decades of rumours about the 93-year-old Tran Thien Khiem’s Christian faith, reported Herald Malaysia. Khiem, a prominent figure in the Vietnam War, during which he followed traditional Vietnamese beliefs, said that “becoming a Catholic was one of the most profound and joyful experiences of his life”. The Church in Vietnam is delighted to see the growing interest among the country’s intellectuals and celebrities, the news site said.